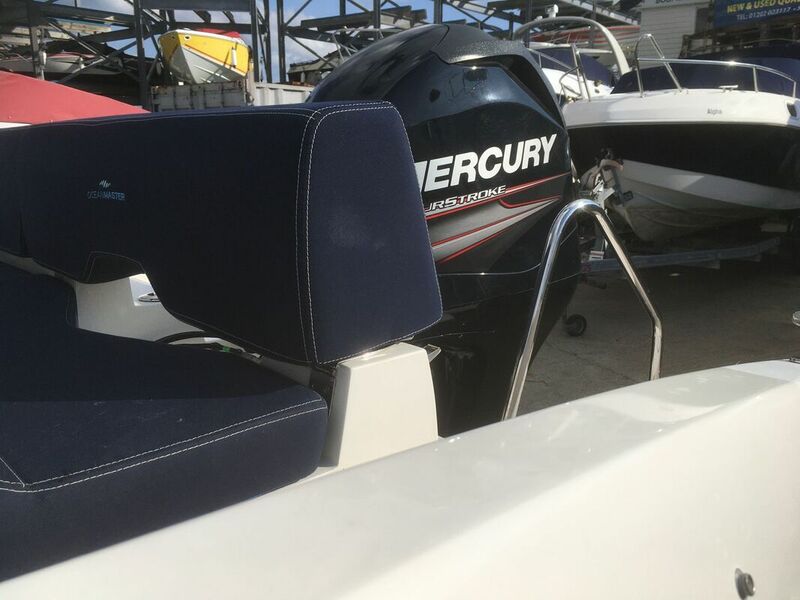 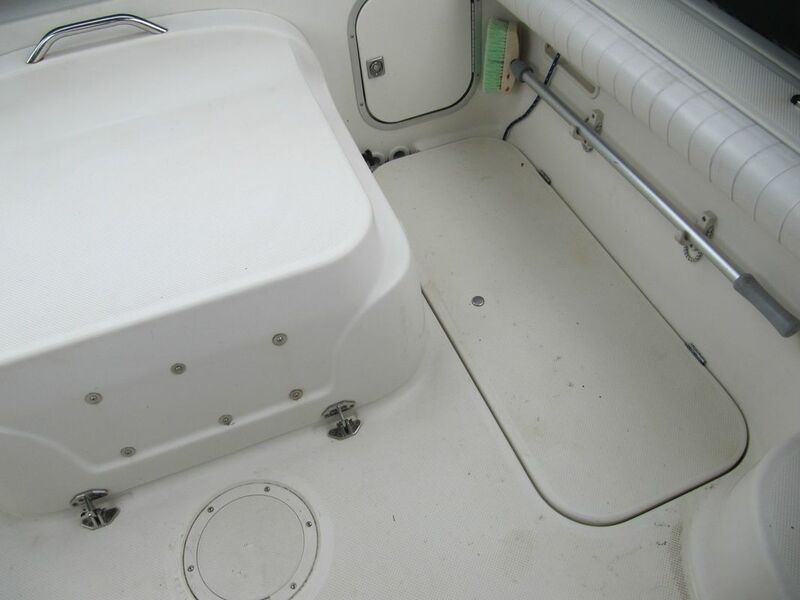 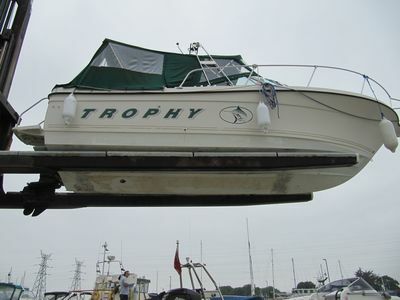 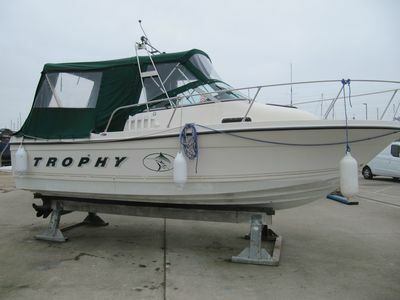 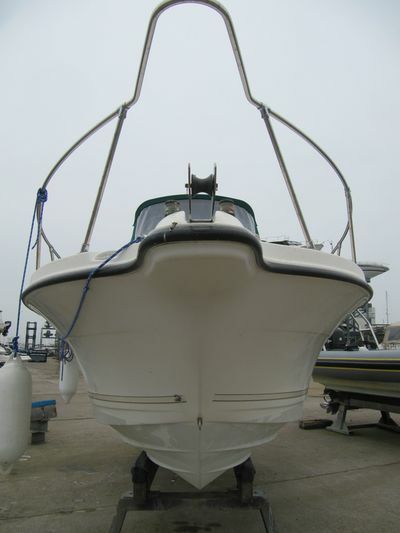 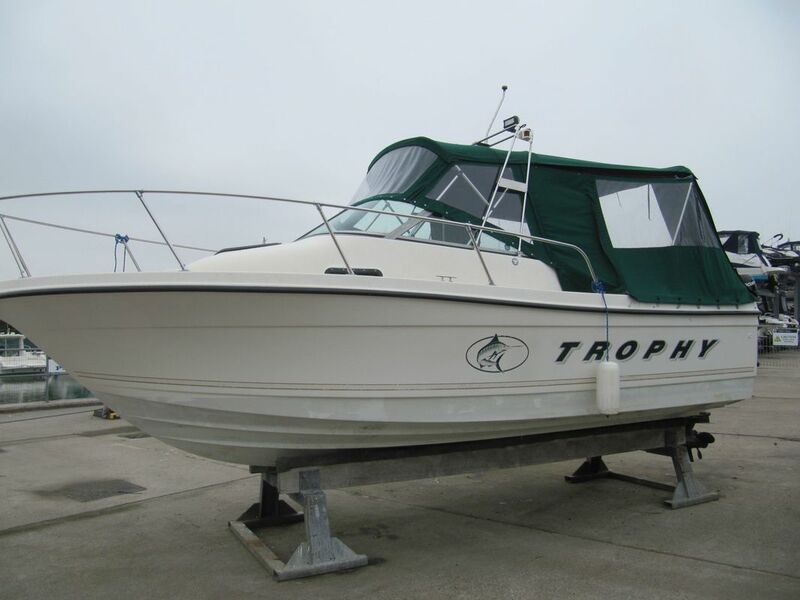 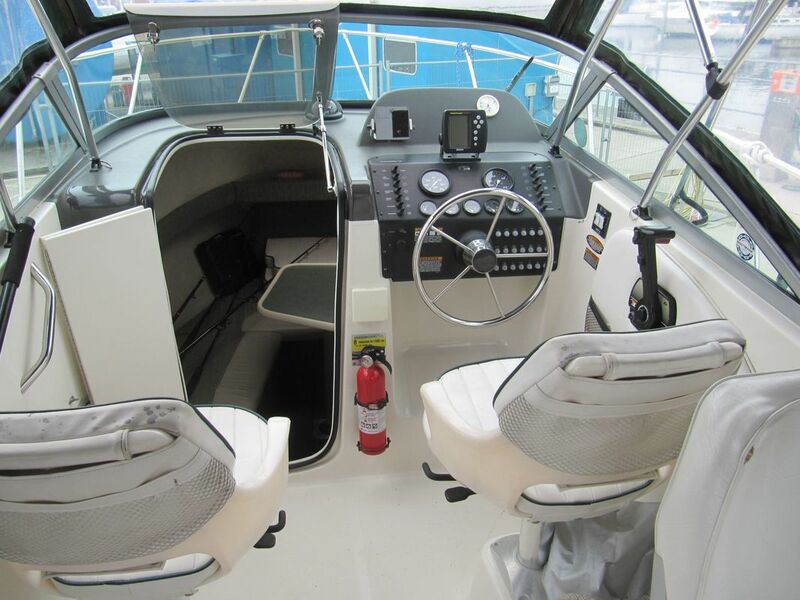 A well presented 2000 Trophy 2052 in with Mercruiser 4. 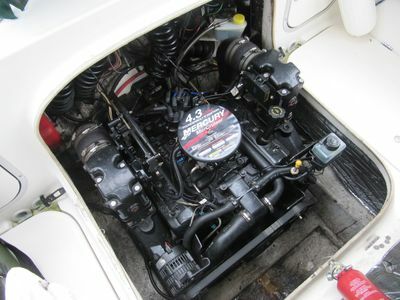 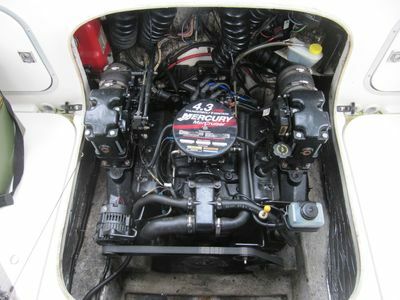 3L engine on Alpha one drive. 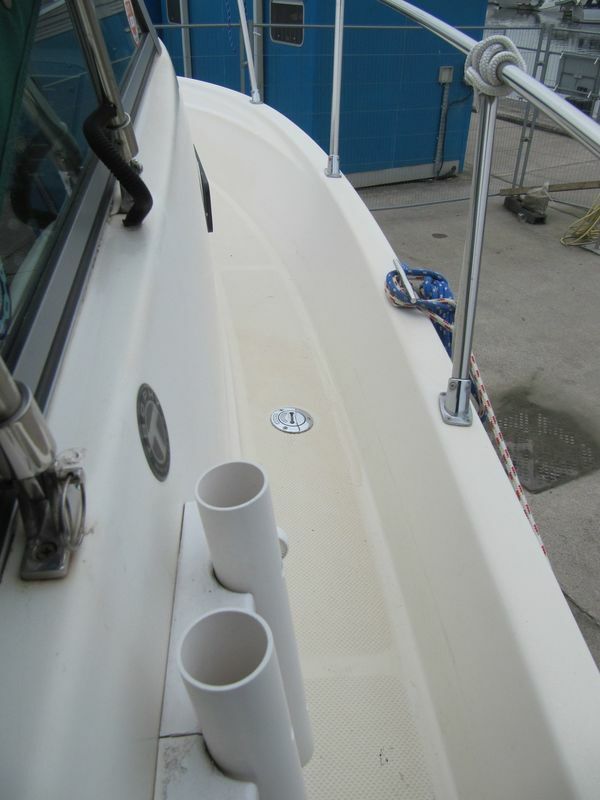 Dry stack stored with the possibility to take on the balance of the mooring contract. 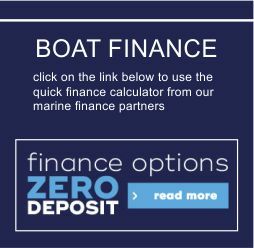 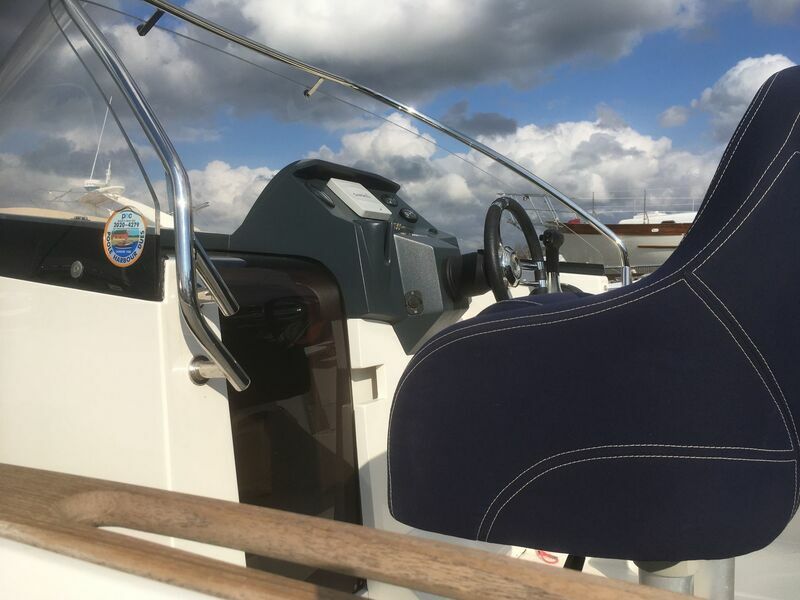 The walkaround design from Bayliner is excellent & its well fitted out for fishing, those coastal trips & even a very cosy over night in your favourite bay. 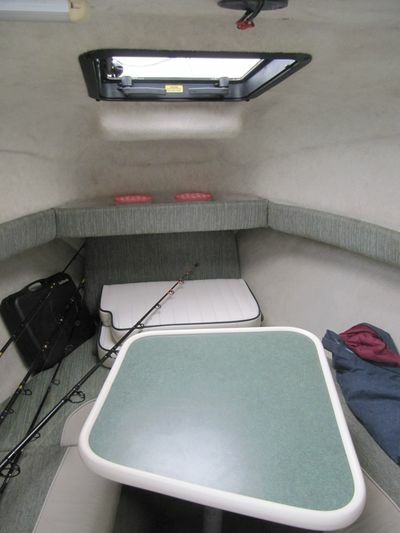 Cabin sleeps two, with cabin table and chemical WC. 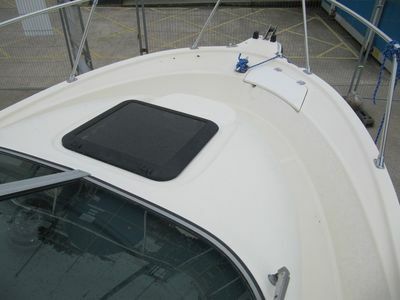 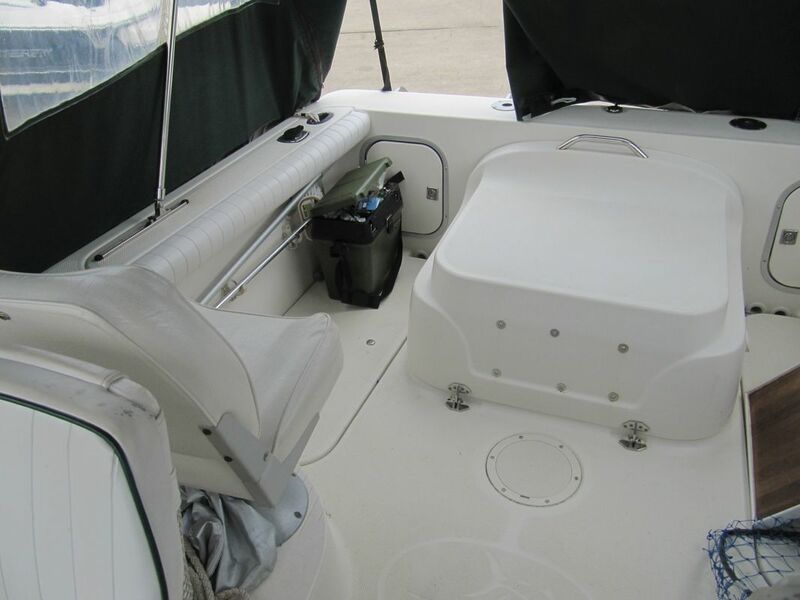 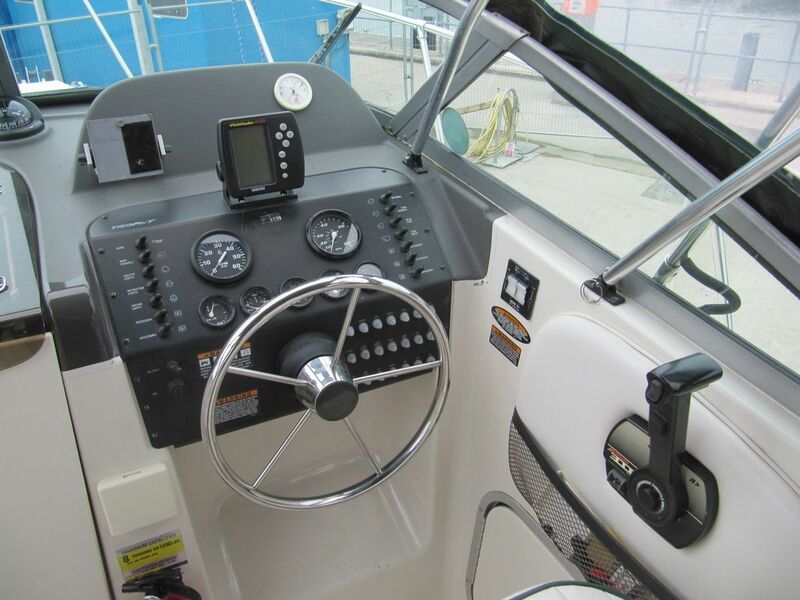 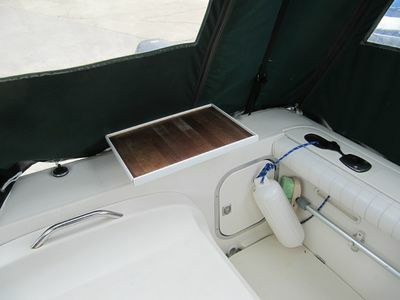 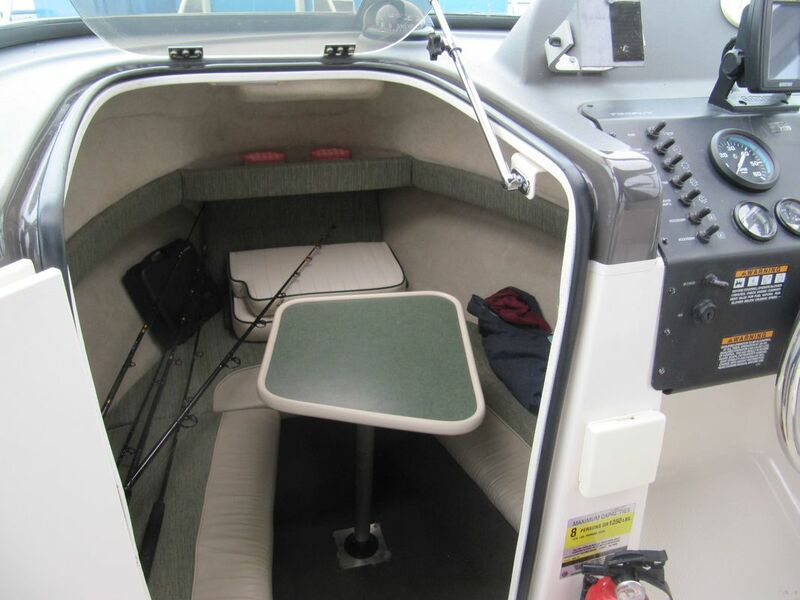 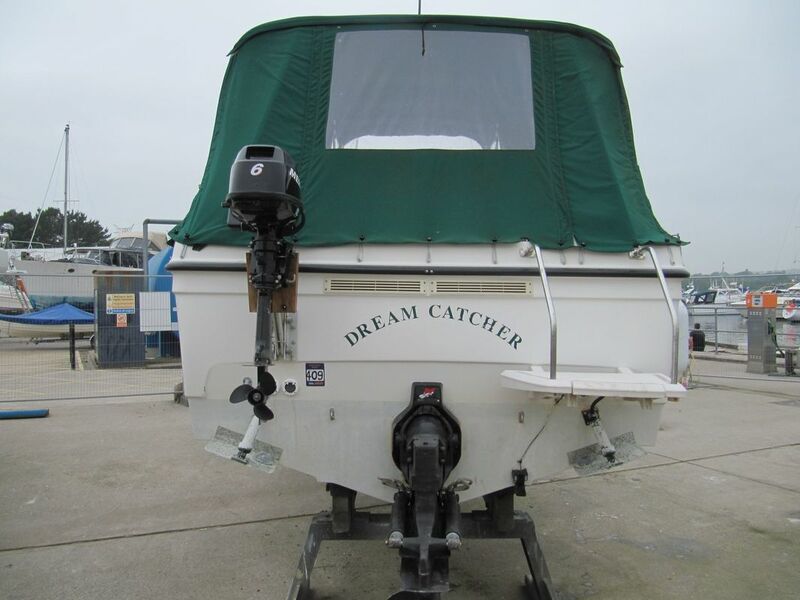 Large open cockpit with built in fish lockers and bait well plus rod racks and rod holders. 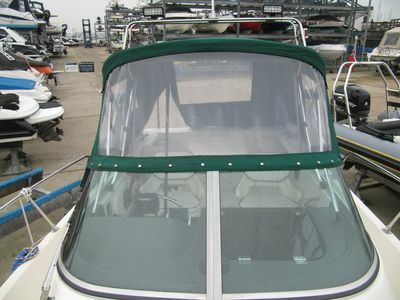 Shes fitted with a full canopy and is ready to go. 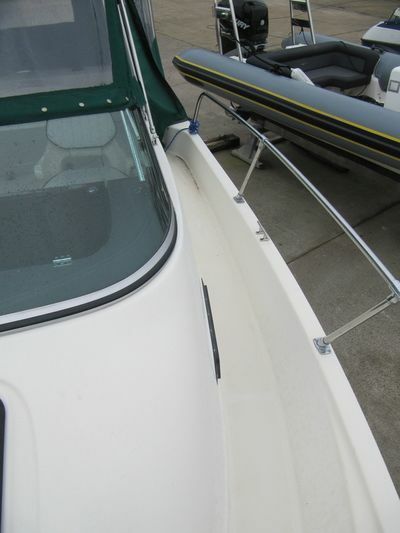 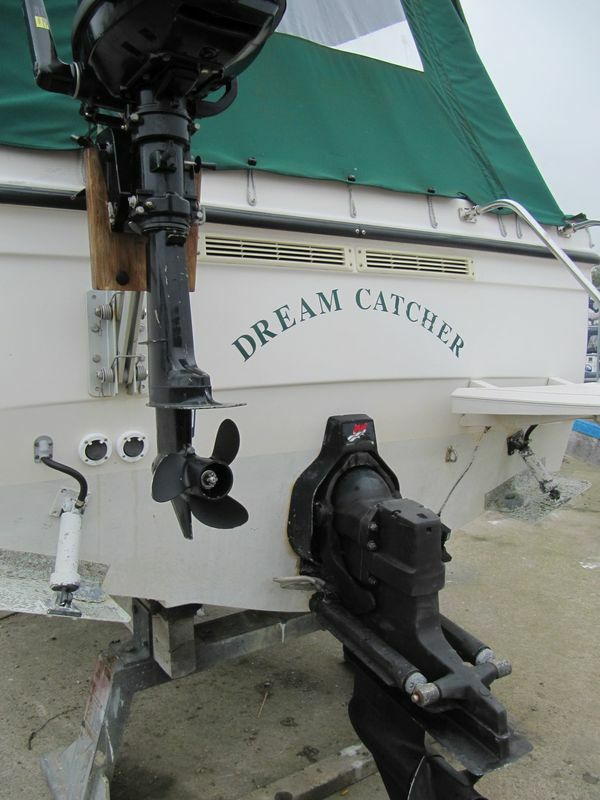 The boat comes with full CE certification.